GutterCleanKing is a local Melbourne based business – with a focus in Melbourne’s East and South East suburbs. Our small team of experienced gutter cleaners are friendly and reliable, providing Melbourne’s home owners with the best advice and most cost effective clean. GutterCleanKing has many years experience in providing cost-effective gutter cleaning in Melbourne to Melbourne’s home owners. While gutter cleaning for your home is often neglected, overtime it can result in blockage which can further lead to other costly and significant problems. Gutter Clean King is a one-stop-solution for all your gutter cleaning needs. No matter if you have a residential, our team of experienced professionals offer same high-quality of service irrespective of how simple or complex the requirement is. We at Gutter Clean King offer professional roof gutter cleaning in Melbourne for domestic and commercial clients. We offer high quality gutter cleaning and roof gutter cleaning in Melbourne at competitively affordable rates. At GutterCleanKing, we offer gutter cleaning and roof gutter cleaning services for townhouses and terrace homes in Melbourne. Gutter Clean King is a reliable gutter cleaning services provider known for its quick services. We at Gutter Clean King offer high-quality gutter cleaning in Melbourne at reasonable rates. 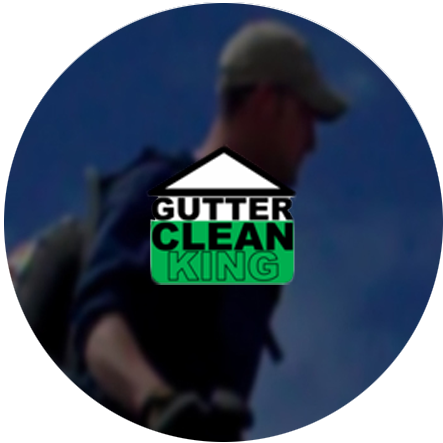 At GutterCleanKing, we have the expertise to clean gutters at the second level of your home. Paul spent about 1.5 hours at my premises and did a very good and thorough job, including sweeping-up, washing away any dirt which landed on my paving, and cleaned away any dirt which had appeared on my colorbond ACE guttering during his work. He put the dirt and grass etc in my green waste bin as agreed. I will certainly contact him for a repear gutter-clean in not more than 12 months from now. He is a very pleasant and efficient person to deal with, and I will not hesitate to recommend his services to my friends and family. I just wanted to thank Paul for the fantastic job he did today, at my home in Wheelers Hill. He was punctual, explained to me exactly what needed done, and upon completion of the gutter cleaning, he swept away the surrounds of the property. He definitely went above and beyond my expectations. Highly recommended for all friends and families. I got in touch with Paul as recommended by my rental property agent. Sure enough, he was very professional and easy to speak to - very friendly over the phone, gave me a quote which he guaranteed the price, and was at my rental property two days later and got the job done. He even sent me before and after photos, and I was impressed! Thanks Paul. Will have you back regularly for sure. Let us Clean your Home!